Tickets $250 pesos ($14 USD) ONLINE, at the Bibliotecta shop or at the door. Q&A and reception to follow (snacks included, drinks available for purchase). This event is scheduled at 5:00 PM at La Casona Event Center. 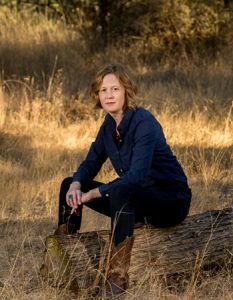 Emma Marris is a science journalist based in Oregon, writing about nature, people, food, language, books and film. She strives to find and tell stories that help us understand the past; take meaningful action in the present; and move towards a greener, wilder, happier and more equal future. Her work has appeared in National Geographic, the New York Times, Slate, Orion, Discover and more. Her book, Rambunctious Garden is an important read for anyone who cares about the environment. As humans influence every centimeter of Earth, from where species live to its very climate, our strategies for saving nature must change. Her book explains why, and more importantly, how. Check out her TED Talk about how we define nature, and what it means for our children. Join us for this slideshow presentation by environmental journalist Emma Marris!